Op-Ed: How has Adam Sandler STILL not won an Oscar?!?!? The Academy Awards this year were surrounded by controversy, but no issue was more polarizing than the award for Best Actor. 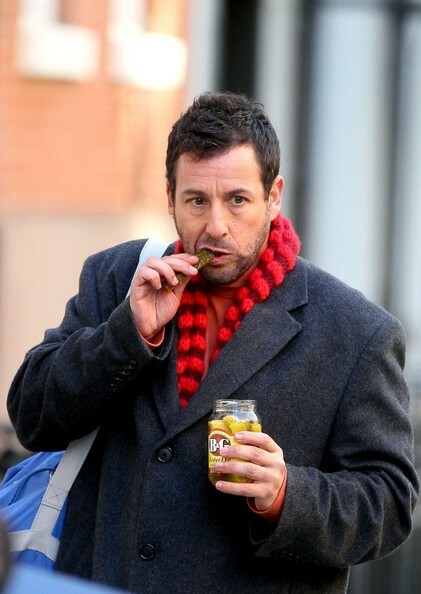 While uninspired actor Leonardo DiCaprio ate just enough bison liver in “The Revenant” to win the Oscar, DiCaprio’s meh career pales in comparison to an overlooked actor who played an unforgettable role this year: Adam Sandler in the masterpiece, “Pixels”. This follows a traditional story: another year, another great movie by Sandler and still no Oscar. Looking back at his career and his transformative roles, it’s an outrage that Sandler hasn’t won. He’s grown from forgettable parts in little known films like “Happy Gilmore” to being the once-in-a-generation method actor he is now. He truly immerses himself and really becomes his roles. How could you forget how he addressed the issues of speech impediments in “The Waterboy” through his convincing portrayal of minority activist Bobby Boucher? He showed his tremendous range as an actor by playing both a man and a woman dealing with the struggles of gender in the avant-garde indie film “Jack and Jill”. I mean, how did Eddie Redmayne get a nomination for “The Danish Girl” when he was just copying Sandler’s barrier-breaking performance? Above all, Sandler’s most underrated quality is the ability to bring a cast together in every movie he touches. His acting quality always attracts an ensemble of the best actors alive. This is most recently seen in “Grown Ups 2”, where he convinced the All Star cast of David Spade, Chris Rock, Kevin James, Rob Schneider, and Steve Buscemi to come together to create a monumental piece of culture. Honestly, Academy, what more can Adam Sandler possibly do to win his first Oscar?